Is that in the Bible? Yes, it sure is! 10 For even when we were with you, we would give you this command: If anyone is not willing to work, let him not eat. 11 For we hear that some among you walk in idleness, not busy at work, but busybodies. 12 Now such persons we command and encourage in the Lord Jesus Christ to do their work quietly and to earn their own living. How hard do you work? I’m sure you work hard. We all think we hard. And the truth is, the majority of people I know do work hard. I was raised to work hard by parents who expected it and grandparents (on both sides) who expected it. From working in a chicken house, rolling a wheelbarrow loaded down with manure, to hoeing a garden in 95 degree heat, to weed eating around a million trees (well, maybe not a million). 🙂 Point is: I’ve never known anything but hard work and it drives me absolutely crazy when I see able-bodied people not working hard. When I see people with their hand stuck out, but that same hand will not wield a broom or a shovel, well…I struggle. Yes, it’s one thing if someone can’t work. But, it’s totally another thing if they’re faking it because they’re lazy. I’ve tried to teach these things to my children. 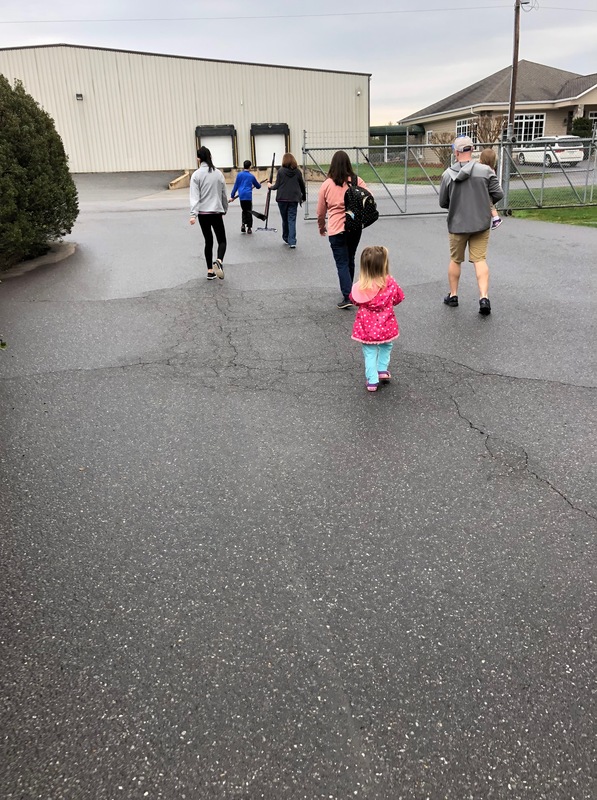 That’s the family walking back to the vehicles after another cleaning job. Yes, we’ve been cleaning offices for over a decade. Every week. 52 weeks per year for 13 years to be exact. We now take the grandkids. It’s amazing. When we started, we didn’t have Clara or Andrew. We clean toilets, windows, vacuum, sweep, dust…you name it. And it’s good for us! It’s good for the kids. It’s teaching work ethic. The kids have chores at home and I bet yours do too. Chores are good and it teaches a good work ethic. The kids know how to wash clothes, load the dish washer, fold clothes, sweep, dust. You get it. We’re not running a Holiday Inn… We’re running a household and it takes everyone working to make the Brown and Isaacs Economies work. At the end of the day…we reward the kids. We reward them with a good vacation. You know, Disney. It’s takes about 3 years of saving…but, boy…let me tell you something…we work hard…but, we play hard. It’s good to work…but, it’s good to play. “All work and no play makes Jack a dull boy.” You know that proverb, don’t you? I also believe the way we work will be the way we live our relationships. If we are taught to work, we’ll work through problems in life. We’ll work through things that life throws at us and we’ll pray and with the Lord’s help we’ll overcome. You say, “Where’s the work?” Well, it’s the word “worship.” Did you know the Greek word used there is: latreuō. Folks, that looks like “work” to me. How about that? In fact the footnote in blueletterbible.org is this: in the New Testament, to render religious service or homage, to worship. Therefore, when we work, we are actually “worshipping?” Isn’t that wonderful!! What a blessing to work!! What a joy to serve the Lord!! Just seeing those two words: a name… Wow! They conjure up so many thoughts and emotions in my mind, as I’m sure they do yours. What a man! What a legacy! I am blessed to have heart him in person, in 1996, at Panther Stadium in Charlotte. This is a picture I pulled off the internet of that crusade. That’s a pretty good depiction of where I was. I was in the “nose bleed” seats. Actually, I was on the left side of the stage (the left side of that picture). It was a wonderful experience to say the least. He preached a simple, yet profound message about the cross of Christ. Thousands came forward. I’m grateful I got to experience that. Truly, Billy Graham is one of the greatest evangelists in the history of the world. “History of the world?” Yes! Ever! I personally believe there will never be another man, like Billy Graham. A man who was allowed by so many foreign governments to come in and preach and teach about Jesus. Those doors have closed in many places today. Take a look at this picture of him preaching in Korea to 1.5 million people. How do you view your responsibility as a religious leader? It’s a responsibility of leadership that I was really not prepared for by way of formal education. I’m called upon to answer questions on every conceivable subject, and I feel terribly unqualified. I run scared all the time that I’ll say something or do something that will bring reproach to the Kingdom of God and to the church. Why do you run scared? I have to think: how’s this going to sound in India where I minister? Or, how’s it going to sound in Africa? Now, when it comes to biblical issues and moral issues I take a strong stand. But if it’s an issue of who’s right and who’s wrong in about 45 wars going on around the world, it’s pretty hard for me to make these decisions. How do you explain your magnetism? I believe the Bible. I don’t have any doubts about the Bible being the word of God. That gives me an authority. Secondly, I have tried steadfastly to stay out of religious controversies. The average life span of an evangelist is 10 years. We’ve been going 26 years. Which President did you know first? Mr. Truman. Massachusetts Congressman (and later House Speaker) John McCormack was very interested in me and asked if I’d like to meet the President. President Truman and I talked about 40 minutes, and when I left I asked if we could have a prayer. And we did—right in the Oval Office. How did you know John F. Kennedy? Do you think President Nixon was personally guilty of misconduct? I would have to say he was. I really believed in him, but I didn’t know that all that stuff was on tape. When the language came out which I had never heard, and the apparent misrepresentation to the American people, I was shocked and surprised. This was a Nixon I didn’t know. Have you any political aspirations? How has your career affected your own family? I have a very remarkable wife that God must have sent. She was born and raised in China and sent to school in North Korea. She was used to danger and toughness. 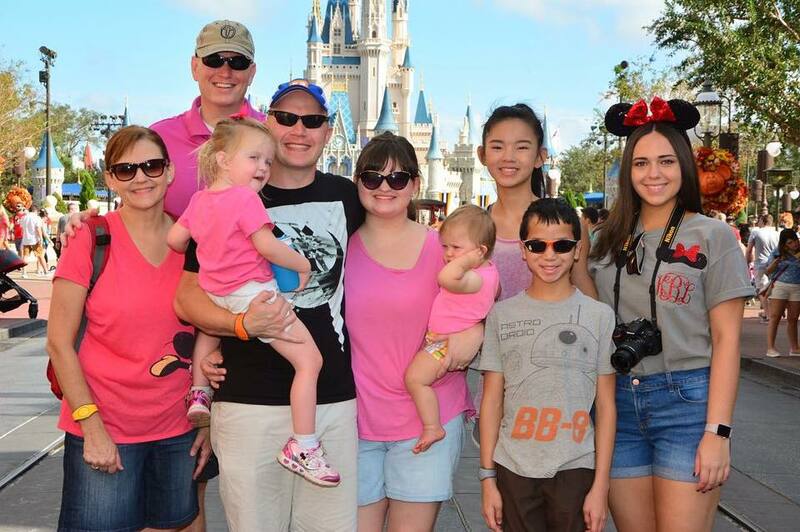 She took our three daughters and two sons and said, “You go preach the Gospel, and I’ll raise these children for God and you’ll be proud of them when they grow up.” When I did come home, my children knew they came first. Do you take security precautions? Religion and politics are two things that stir people up. My lack of privacy also has risks. I get threatening letters which I turn over to the FBI, and they tell me which ones to consider seriously. Once in San Diego a person came at me with a knife. But I never think about the danger. I’ve already told my wife and my organization that no ransom is ever to be paid. Do you think you would have the same personal magnetism if you were short and fat? Well, the greatest evangelist of the last century, Dwight L. Moody, was short and fat and ate himself to death. But he was the founder of the ecumenical movement. Many of the great social movements of today came from his ministry. How do you feel about the state of the world? If I didn’t have my spiritual faith, I would be a pessimist. But I’m an optimist. I’ve read the last page in the Bible. It’s all going to turn out all right. Now, as a preacher/pastor, myself, I must tell you that I sure can relate to the “running scared.” Remember that first question he was asked. He said, “I run scared all the time that I’ll say something or do something that will bring reproach to the Kingdom of God and to the church. It truly is amazing what you are asked as a preacher of the Gospel. I’ve been asked about almost every topic you can imagine and I, like Billy Graham, feel so inadequate so often. You have to lean on the Lord a lot. No question about it. I read this morning about a visit a man had with Dr. Graham a couple of years before his death and a couple of things stood out that he shared. He said that Dr. Graham said that he did listen to critics, but that he didn’t dwell on them. He said, “In my position, I am subject to criticisms more often than I like. Indeed I am pretty thin-skinned, so it is an area in which I constantly struggle.” He was later asked: How, in a lifetime of international ministry and scrutiny, did you deal with the constant stream of criticisms. Mr. Graham smiled and said, “I ignored most of them.” You see, I believe Billy Graham learned the secret of public ministry. Yes, we are accountable to the public at large, but if you dwell on the criticisms, they will distract you and ultimately hurt the ministry. You can’t worry about constantly taking up for yourself. There are times you have to…but, the majority of the time you just have to let your body of work stand for itself and move on. People aren’t dumb. They can see if you are real or fake. 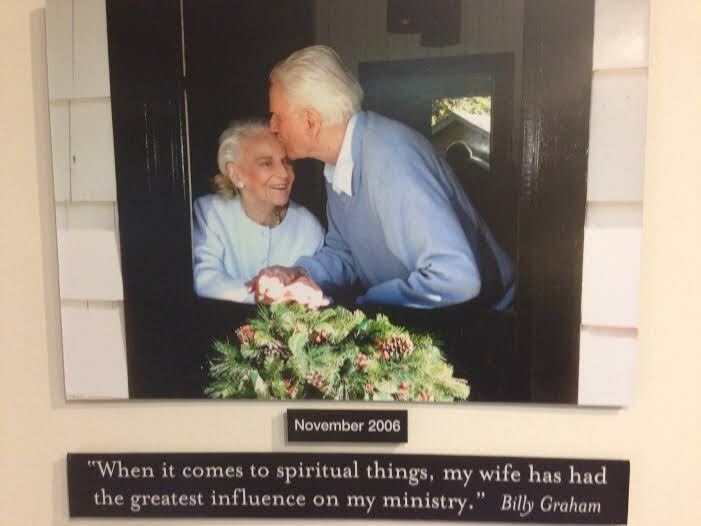 I believe that’s one of the greatest virtues of Billy Graham. He was such a humble man. Here’s a man who met with presidents and kings and preached to millions. Without question he is one of the most famous and influential men of the 20th and 21st centuries. Yet, in all of this, he’s still the humble boy of a dairy farmer who grew up in Charlotte, NC. Can I recommend a movie to you? 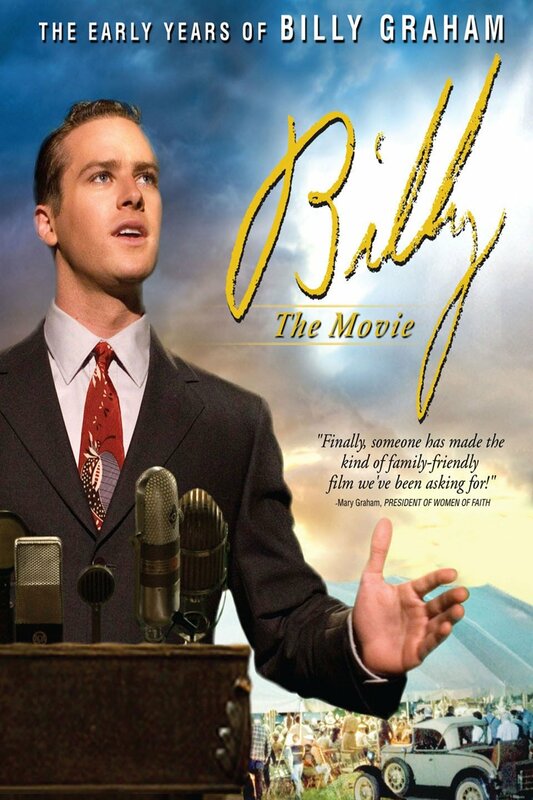 This movie is excellent and it will give you insight into his life as a boy and then meeting Ruth and the early years. It’s not a movie that I would let little children watch, only because there are some intense scenes with an atheist. But, for those children 10 and older, it’s an excellent family movie. Something else I recommend to you is a 7-minute segment I had sent to me earlier today that aired on NBC of all places. 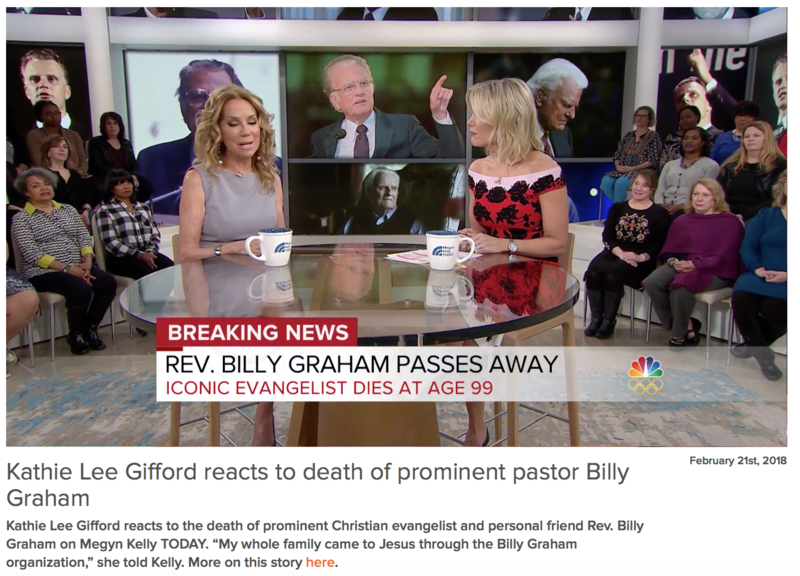 It was interview by Megyn Kelly of Kathie Lee Gifford about Billy Graham. It’s worth 7 minutes of your time. And might I say this…only Billy Graham (his name) could have pulled this off on a very liberal network like NBC. Praise the Lord for Kathie Lee’s boldness. Obviously, you know where I got the cup. I highly recommend a trip to Charlotte to see this wonderful place. Of all the coffee cups I can drink from, (besides my Yeti that Kandace got for me), this is it. Why? 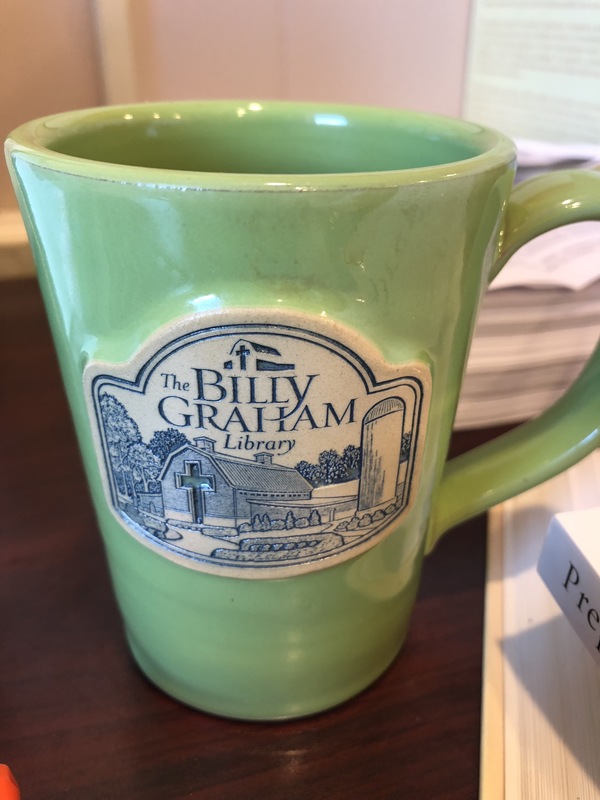 Honestly, when I was at the Billy Graham Library several months ago, I bought this cup because I felt a connection to Billy Graham. As I walked through the museum and I watched video-segments of him preaching, I thought, “I get to do what Billy Graham does. I get to preach the Gospel!” I remember feeling so humbled and so blessed. 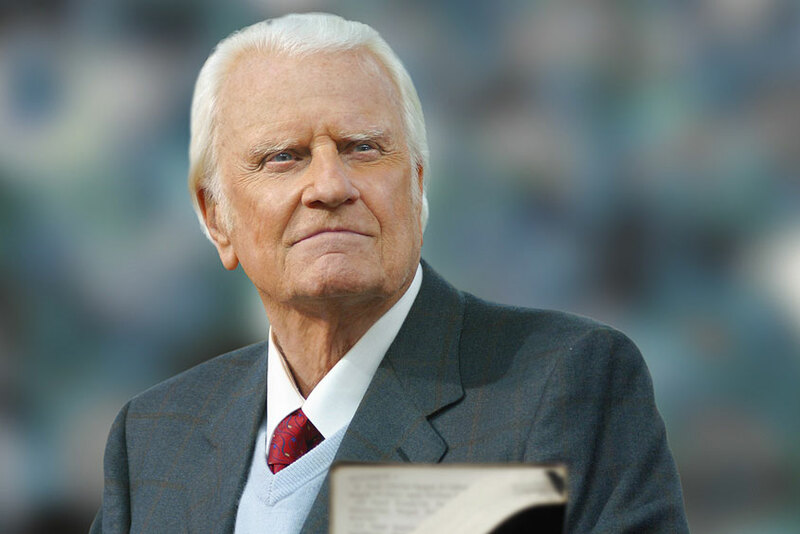 No, I’m no Billy Graham…not even close… But, I am a preacher of the Gospel, just like him. They are reunited now! Wow! Just the thought of that brings tears to my eyes. 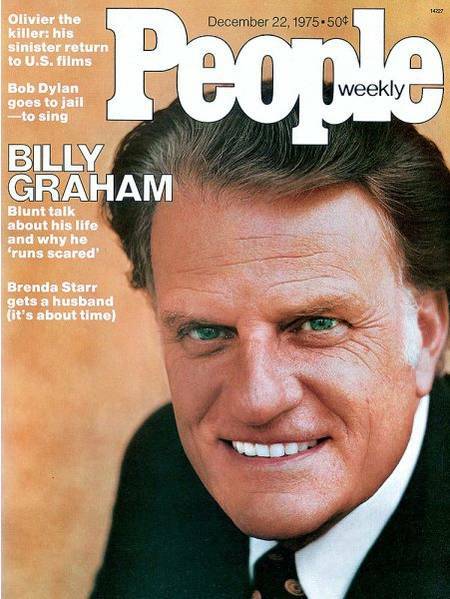 And something else too… Billy Graham has personally met Jesus! How about that! 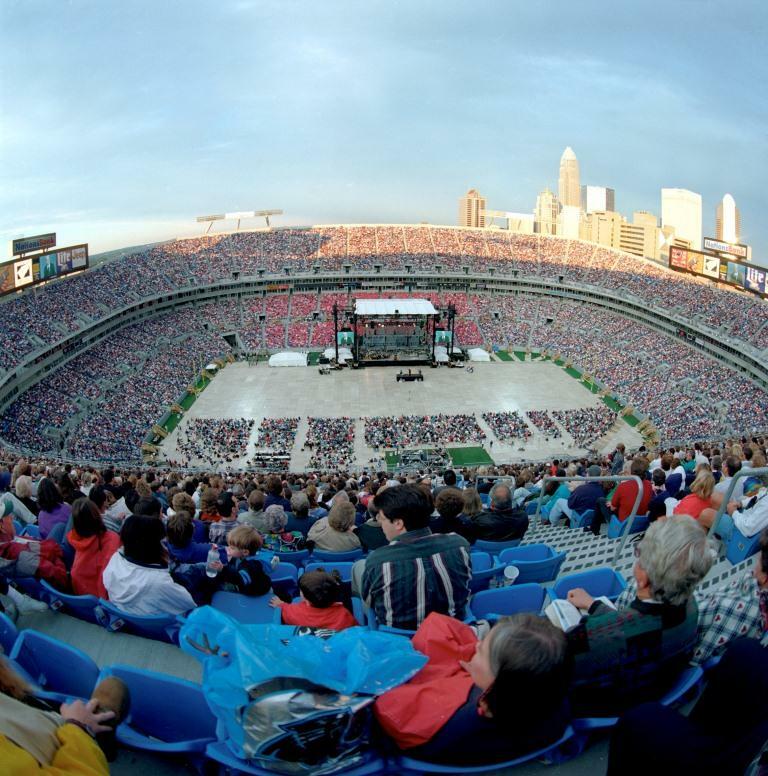 After all these years of preaching and proclaiming His name…Billy Graham is with the Savior now! Honestly, I’m envious! Thank you Lord for Billy and Ruth Graham and for their legacy and for the legacy that continues on through their children and their ministries! Today is a day of LOVE! What a wonderful day to celebrate LOVE! Love. It’s the core of the Gospel. For God so LOVED the world that He gave… Yes, He gave. In His love for us God chose to give of Himself and come to die for us so that we might have eternal life. Wow! What a LOVE!!! That’s better than a card or chocolates in my book! Love. The world is looking for love. It’s been said that the greatest emotion of the human heart is to love. “To love and be loved is the greatest emotion.” That’s what many say and I won’t argue with them. 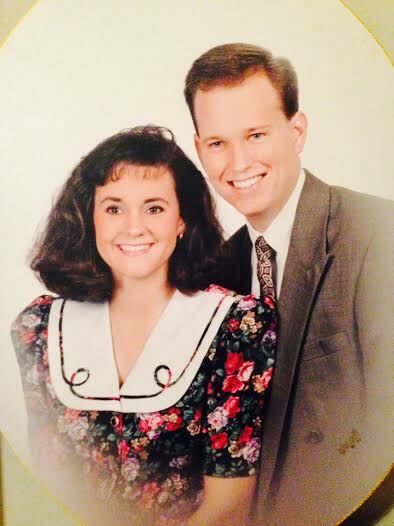 For 27 years, I’ve been blessed beyond measure to be married to this dear lady. But, marriage is work, friends. You know it is. Marriage takes time and effort. It’s like growing a garden. If you aren’t intentionally weeding that thing, you’ll have problems. Marriage is no different. It takes intentional attention for a marriage to thrive. You have to water, nourish and care for the marriage or it will produce no fruit. But, this takes time. It takes time to talk. Time to communicate. Time to work through disagreements and misunderstandings. It takes time to plan and time to rest. Yes, rest. Rest in each other’s presence. Our problem is most of us don’t rest much. We go, go, go and then one day… Well, we look at each other and say, “Who are you?” We’ve spent all of our time working, paying bills, raising kids and paying the mortgage that we forget each other. I’m grateful for Valentine’s Day, because at least the calendar forces us to LOVE. We’re forced by February 14th to slow down and LOVE. So, we buy cards, candy, flowers, go out to eat, etc. And that’s a good thing. But, we need to do more of that. And the truth is: I’m chief of sinners, on this front. But, what we can do is communicate (even if it’s late at night, if you have kids in the home). You’ve got to talk. Communicate. Don’t live in separate rooms…where she watches her stuff, while you watch yours. Put the phones down and talk to each other. Get off the gadgets and talk. Remember. Think back. Enjoy each other’s company the way you used to (back in the days before Facebook, Twitter, cell phones, etc.). Just look at each other. I’m strange and you know that. But, sometimes I’ll look at Pam… I mean really look at her and I might even lovingly and softly place my hands on her cheeks and say, “Let me look at ya!” And she’ll blush and say, “Aw, you’re crazy!” And I’ll say, “No…come on…let me look at you…” And I’ll look into those beautiful eyes… eyes that aren’t as bright as they were 27 years ago…eyes that might even be staring back at with my glasses just below them on her nose. And I’ll say, “I love you Pam. Thanks for loving me and putting up with me.” And you know what…that’s a good thing. Sometimes even one of the children will see us doing that or see me kiss Pam on the cheek and the look on their face is priceless. What look? That look that says, “My Daddy loves my Momma.” That look. That look that says, “Daddy and Momma are going to be together for you all of my life.” That look. That look that says, “I’m confident in my parent’s love for each other.” For better for worse, for richer for poorer, in sickness and in health, till death us part. Yes, that look! 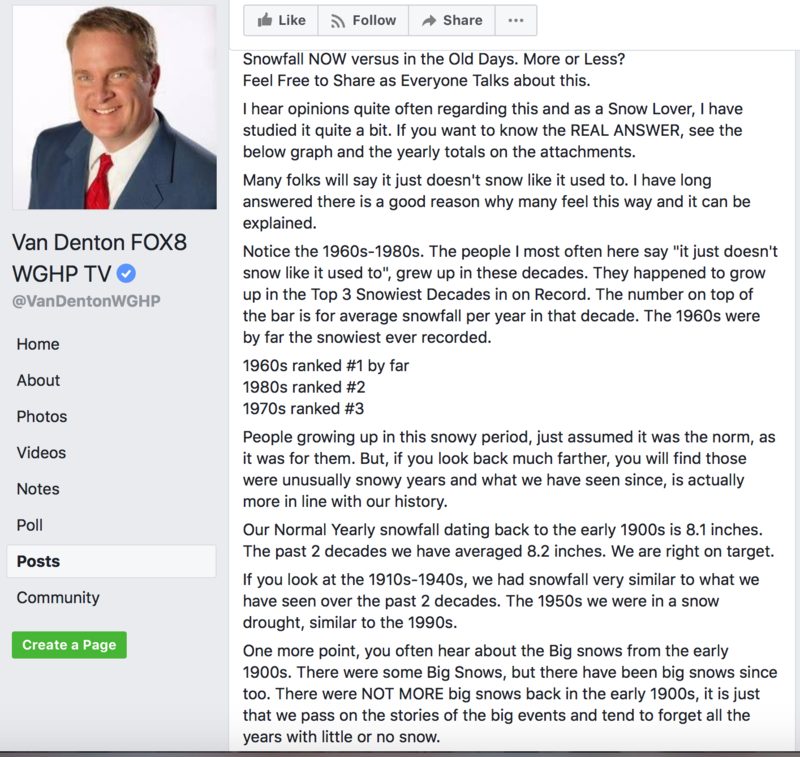 Does It Snow More Today or Decades Ago? Anyone who knows me knows how much I love the weather. One of the reasons I love it so much is the fact that humanity can do nothing about it. God controls the weather patterns. He allows what He allows and that’s that. But, the 1950’s were not as snowy has we’ve seen in this decade. The 1950’s were like the 1990’s (a snow drought). 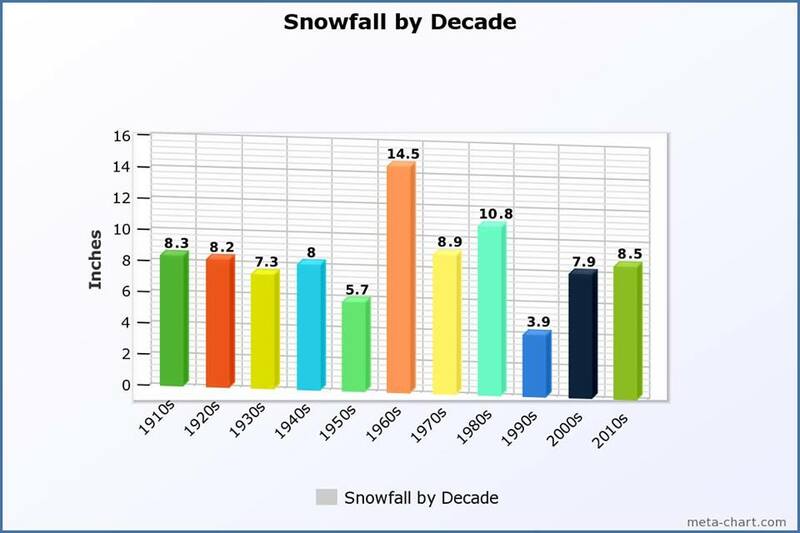 See the chart below… You’ll note we’re currently averaging 8.5″ of snow for the decade, which is considerably more than the 5.7″ average of the 1950’s and the 7.3″ average of even the 1930’s. Yes, it’s been a snowy winter for sure. 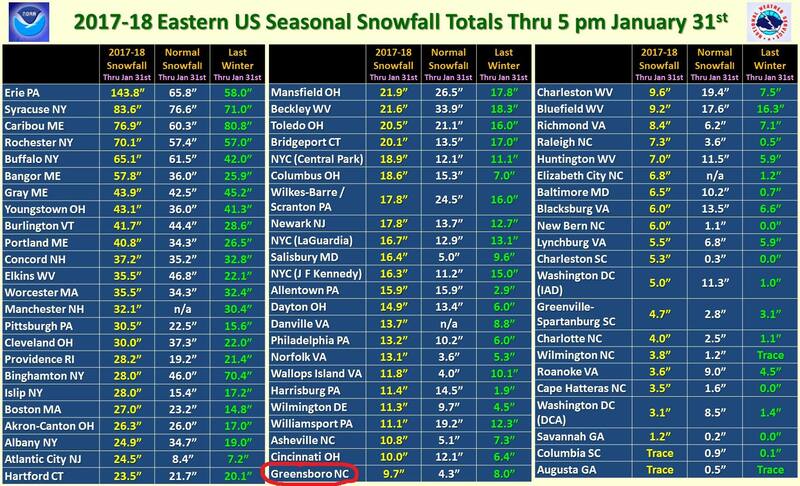 At my house, we’ve seen (thus far), 7″ on December 8th (that’s really early for that much snow) and another 1″ on Tuesday, December 12th. We saw 4″ on Wed., Jan. 17th and about 1/4″ of ice/sleet this past Sunday (Feb. 4th) and we’ve still got the back half of winter to go. So, in Kevin Brown’s back yard, I’ve had a total of 12.25″ of snow, sleet and ice for the year. That’s pretty much right on average for us. 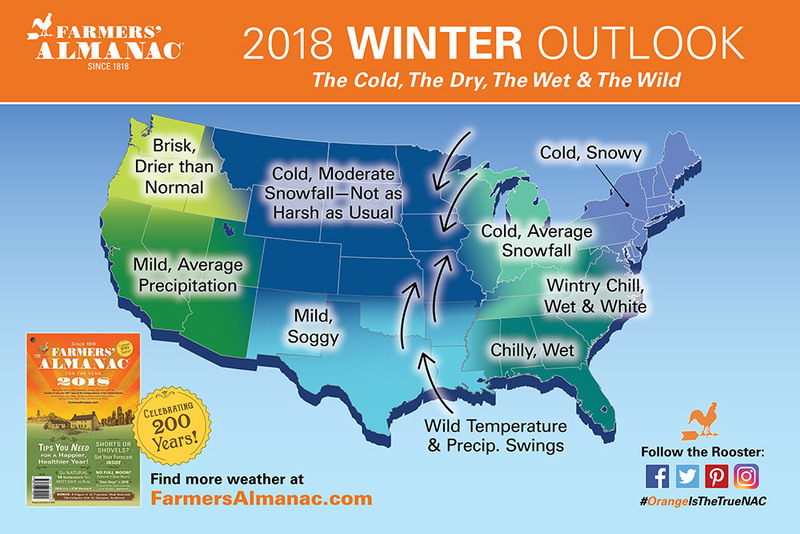 Do you remember me showing you the Farmer’s Almanac prediction for winter? They’ve been right in a lot of ways (particularly in our region). But, it has been a lot colder in the upper mid-west than they said and much dryer out west. Yet, when making a national forecast, they’ve really done quite well. Well, what about the rest of winter? 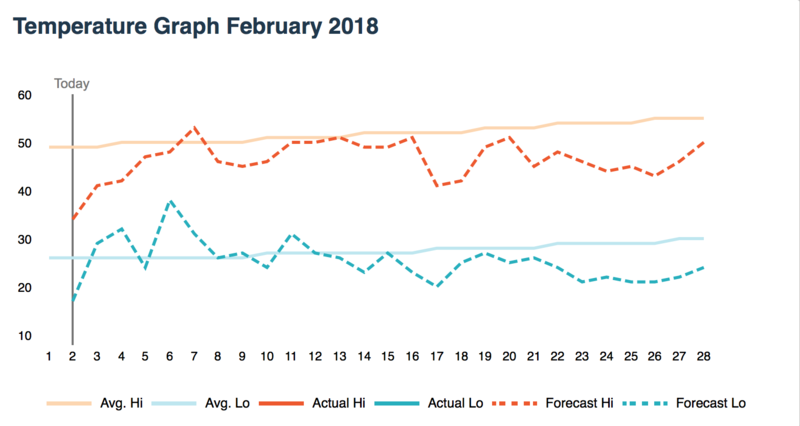 According to the National Weather Service, they’re predicting we’ll have below average temperatures for the month of February as a whole. See below… Follow the dotted, orange line and you’ll see it’s below the average of 50-52 degrees for highs and the blue, dotted line goes below the average as well. I believe this is pretty accurate. We’ll see it warm up again (we’ve been on a roller coaster, can you tell) over the next couple of weeks and be around average or just above average. But, by the time we get to the end of the third week of the month, we should turn colder again. In fact, March is looking to be potentially cold for the first two weeks of the month. And you know what March snows can be around here! They can be our biggest of the season! PS Please pray for Andrew. He’ll be having his 6th surgery on his feet on Wednesday at the Shriner’s Hospital in Greenville, SC. It’s been a long pull for Andrew with his club feet (from birth). He’s come a long way! 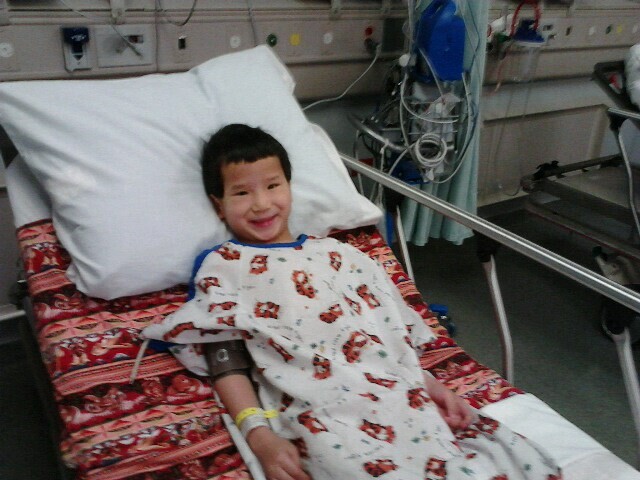 This was him before surgery several years ago.